The Internet is a staple in many people's everyday lives. It is a great place fills with lots of information, but it is also full of dangers. Staying safe on Cyberspace is no longer an option as we have much to lose if we do not exercise caution. Introduction to Cybersecurity covers the importance of cybersecurity, awareness, data confidentiality and good practices when using the cyber space and social media. It walks students through every aspects of security in a broad, easy to understand way and explains the value of securing data, both personal and for businesses. Digitization creates business value through digitized assets and expanded connectivity. 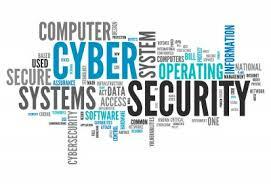 But it is also increasing exposure to cyber attacks. 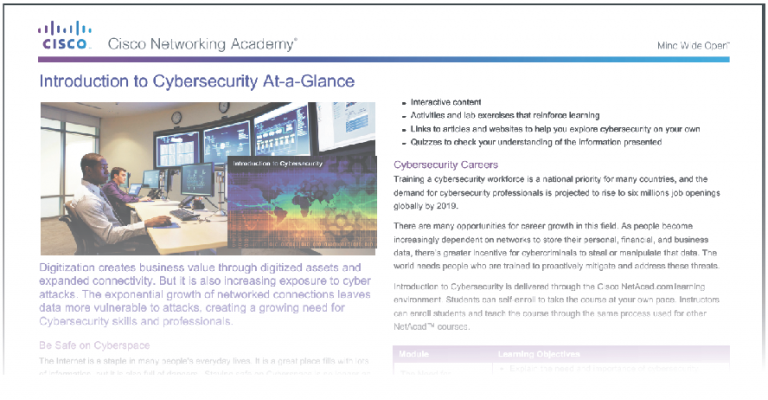 The exponential growth of networked connections leaves data more vulnerable to attacks, creating a growing need for Cybersecurity skills and professionals. Training a cybersecurity workforce is a national priority for many countries, and the demand for cybersecurity professionals is projected to rise to six millions job openings globally by 2019.
data, there’s greater incentive for cybercriminals to steal or manipulate that data. The world needs people who are trained to proactively mitigate and address these threats.